Universities equip Canadians of all backgrounds and ages for the changing nature of work. With many jobs at risk of automation, several studies show that university graduates will be best able to adapt to an automated future. At a time of unprecedented change, universities are innovating in teaching and learning, providing crucial hands-on and international learning experiences, and helping Canadians at every stage of their careers forge new pathways to opportunity. Source: Upskilling and Reskilling: Examining Universities’ Role in Mid-Career Worker Resilience in the New Age of Work by Dan Munro. Work-integrated learning programs, like co-ops, internships and practicums provide students with experience working in their field and the opportunity to start building their professional networks before entering the job market. Universities support the call by the Canadian Business/Higher Education Roundtable for access to work-integrated learning for 100 percent of Canadian postsecondary students. Canadians at varying stages in their careers will need support adapting to the future of work. Universities are embracing the chance to help mid-career professionals up-skill and re-skill with flexible programs that help students stay competitive. Currently 400,000 Canadians are enrolled in university continuing education programs across the country. Nearly 9 out of 10 employed Canadians agree that lifelong learning is crucial for career success. 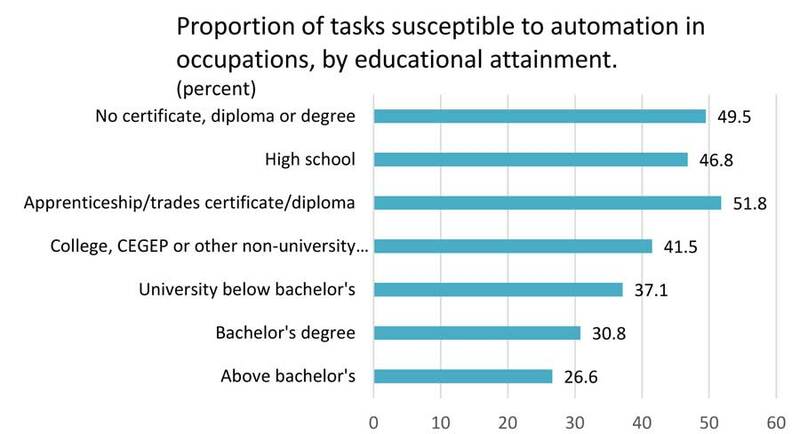 Source: Ipsos poll on behalf of Royal Roads University, October 2016.
International learning experiences equip students with the 21st century skills they need to adjust to the shifting nature of work – abilities like problem-solving, adaptability, collaboration and communication with people from other backgrounds. Canada’s business leaders know these competencies give them an important competitive edge. Graduates from disadvantaged backgrounds who were mobile during their degree earned, on average, 6.1% more than those with no global experience. Source: Gone International: Mobility Works, Universities UK International, March 2, 2017. Canada’s universities nurture the entrepreneurial spirit of students across disciplines, help incubate students’ business ideas and spin-off hundreds of new companies every year – driving Canadian business development and fueling economies across the country. Entrepreneurship drives Canada’s economy and 58% of Canadian entrepreneurs are university students or graduates. Forty percent of student/graduate entrepreneurs have taken a university entrepreneurship program or course. Through creativity, tenacity and passion, Canadian researchers are tackling the big challenges facing our communities and or world – from climate change, to life-threatening disease, to migration. 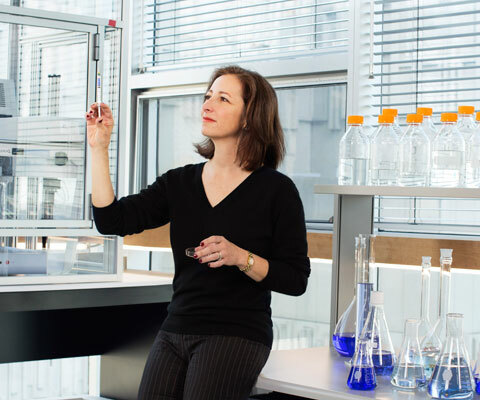 Through creativity, tenacity and passion, Canada’s researchers are tackling and solving big challenges such as climate change, food security, life-threatening diseases and artificial intelligence. These Canadian researchers are solving problems and improving the lives of Canadians and people around the world.